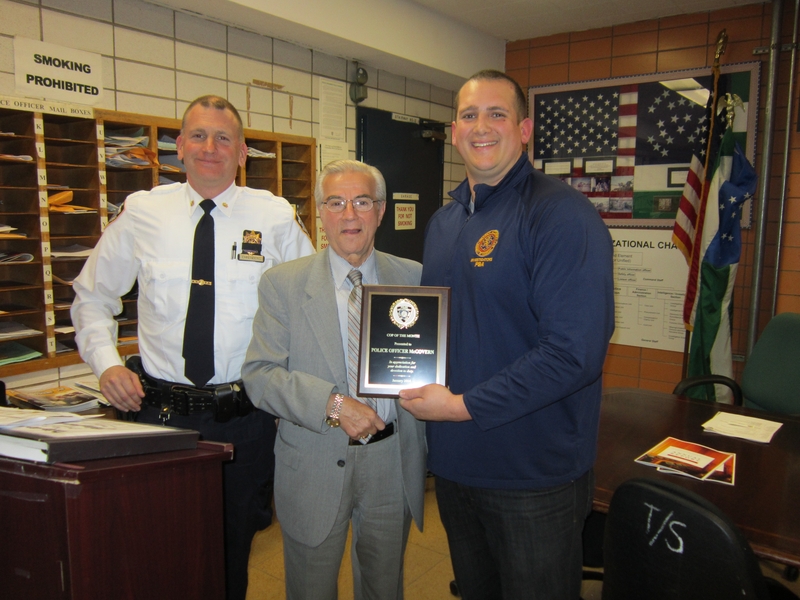 Police officer Carilina Lugo was named Cop of the Month at the 13th precinct’s latest community council meeting on Tuesday, May 15 for catching a man who allegedly attacked a woman in an unprovoked assault. “I don’t have one every month but it’s for those cops who go that little extra step,” Deputy Inspector Steven Hellman said of the award. Overall crime has seen a 20 percent decrease in the last month of summer in the 13th Precinct although Commanding Officer Brendan Timoney stressed that community residents need to be aware of some recent crime patterns, including apartment and office burglaries and a car theft ring. 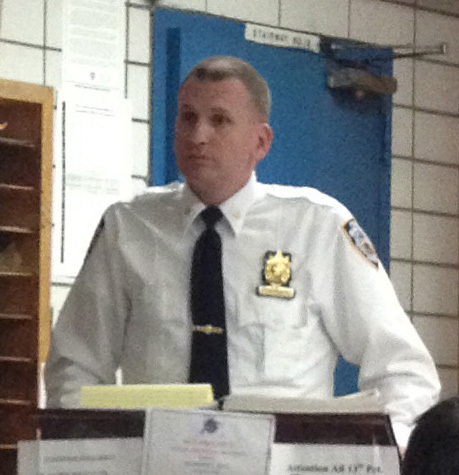 Timoney reported the stats at the first community council meeting after a summer break this past Tuesday, a day after the former captain was promoted to deputy inspector. Timoney noted that in terms of general crime, the summer months have seen a small spike in robberies and although burglaries haven’t increased, he said that the incidents seem to correspond to the city’s bouts of warm weather. Timoney added that a man arrested for one of these fire escape burglaries this summer was busted after the officers secured the area and were able to catch him when he was trying to leave the building. The two officers who apprehended the thief had been honored with the Cop of the Month award for September but since they were both on vacation at the time of the meeting, they will be presented with the award in October.